While planning our Disney Christmas Surprise (see posts HERE and HERE) I spent too many hours on the Disney Store's website looking for things to spend money on. I only ended up with tshirts, but I seriously considered an ornament, since it was a Christmas surprise and all. 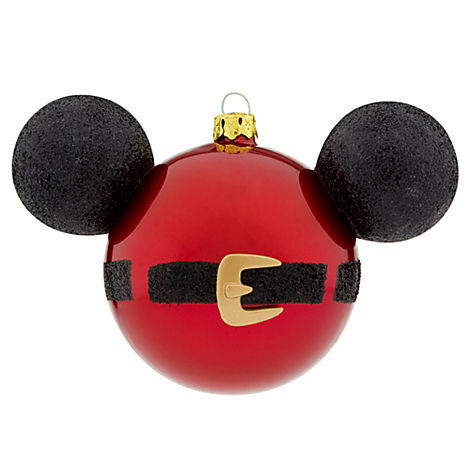 However, the one I liked the most was $16.95 for ONE ornament, and looked like something I could totally make myself! So I saved the image, and kept my eyes peeled during my holiday shopping for the supplies. Amazingly, I found ornaments that already had the little black glittery Santa belt on them! Now all I needed was black glittery ears. No problem, right? Except there is NO store in my entire town that sells black glitter. I went everywhere--department stores, drug stores, dollar stores, even Hallmark. Nothing. Plus, I couldn't find foam balls the right size for my ornament. I couldn't find anything that could create the mouse ears except small plastic ornaments, which wouldn't be perfect due to the part that sticks up on the top, but I decided to make do. No one will look at the back anyway! Still, though, no black glitter. The belt on the ornament was made from black glitter, and I would accept absolutely NO substitute. The day before Christmas eve, my good friends, who knew about my black glitter situation, happened to be in a neighboring town with a craft store, and saved the day by picking some up for me! Finally, ear balls and black glitter in hand, I sat down with my husband who agreed to craft with me because he's amazing and I don't deserve him. We started out covering the ornaments with glue and sprinkling the glitter on top. But too much of the red underneath was showing through. Then, we decided to paint them black first. And in a stroke of genius, I realized the paint could also double as glue for the glitter--efficiency, yay! But painting the tiny ornaments was not working out.... our fingers were getting covered, and we didn't like the brush marks. Next option: my husband suggested we fill a shot glass and DIP the ornaments in the paint. Then we tried that. And the craft paint I had was a bit old.... and clumpy. So we laughed and cursed as we got more black paint on our hands and picked clumps of paint off the ornaments. Finally smooth enough for us to deal with, we started sprinkling black glitter on. And then were faced with a new dilemma-- what do we do with them while they dry? We didn't have any idea. So we just sat there, watching tv, holding tiny, painted, glittered ornaments in our hands, waiting for the paint to dry. Originally I planned to make four of these ornaments, one for each of us. 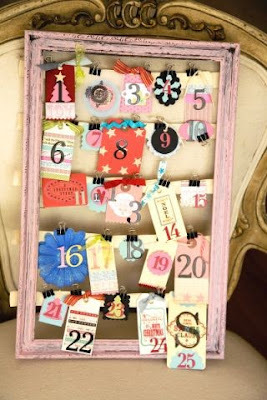 But that would require 8 tiny, painted, glittered ornaments. So then I decided we'd have just one for the family to share! The next morning, I practiced gluing the failed ear balls to an ornament. And the super glue didn't hold. The only option left was hot glue, and that really wasn't ideal either, but basically I was VERY done with this project.... so big ol' clumps of hot glue are visible on the finished product. After way too much time, and way too much paint and glitter everywhere, we finally had a Mickey on our tree! The low light makes it look way better in the picture than it does if you look closely in daylight. $0 black paint and hot glue gun I already owned. Had I made 4 of these it would have been a steal compared to the $16.95 each, but it was still cheaper overall, though not as nice... however, it made for an interesting night of crafting with the husband, and you can't put a price on that! Ever tried a project to save money that went wrong?